Want To Move? 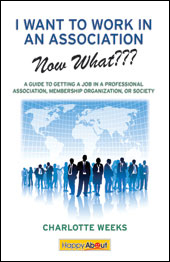 Build Your Association Network In A New Location | Find meaning at work and advance in your career. As a follow-up to my last post becoming a member of associations can help you make a geographic move. If you’re targeting employers in an area in which you have no network, cultivating a base of local contacts can make a huge difference – not only in getting a job, but in adjusting to your new environment. 1) Check out the member directory: Upon joining, people typically receive a comprehensive list of active members. This can be a great starting point, as you can specifically find out the names, employers, and contact information of people in your target location. 2) Join the LinkedIn Group: Most associations have LinkedIn groups that are only open to members. For larger organizations, they may even be broken down by geographic locations/regional branches. 3) Interact on E-lists: Usually, there are countless options, with e-lists for just about every area of interest. This can include functional areas, career levels (young professionals, executives, etc.) or job types (employee or consultant). Once you’ve landed a new role, be sure to keep up with your new connections. You never know when you’ll be seeking another position or promotion. Plus, you’ll want to reciprocate to those who have provided you with help along the way. This entry was posted in Association Career, Career Management, Job Search, Networking, Promotions, Social Media/Social Networking and tagged association career, association industry, career transition, LinkedIn Group, networking, Professional association, Social Media, Social networking. Bookmark the permalink.